Trico is the common name used to describe the Tricorythodes mayflies that occurs on streams and rivers all over the USA. They are often mistaken for the Blue Wing Olives because they both resemble the small size and olive abdomen coloration as duns and at times can emerge during the same periods. The easiest way to tell them apart is by looking at the dun or spinners tails. Tricos have 3 tails and BWOs have 2 tails. 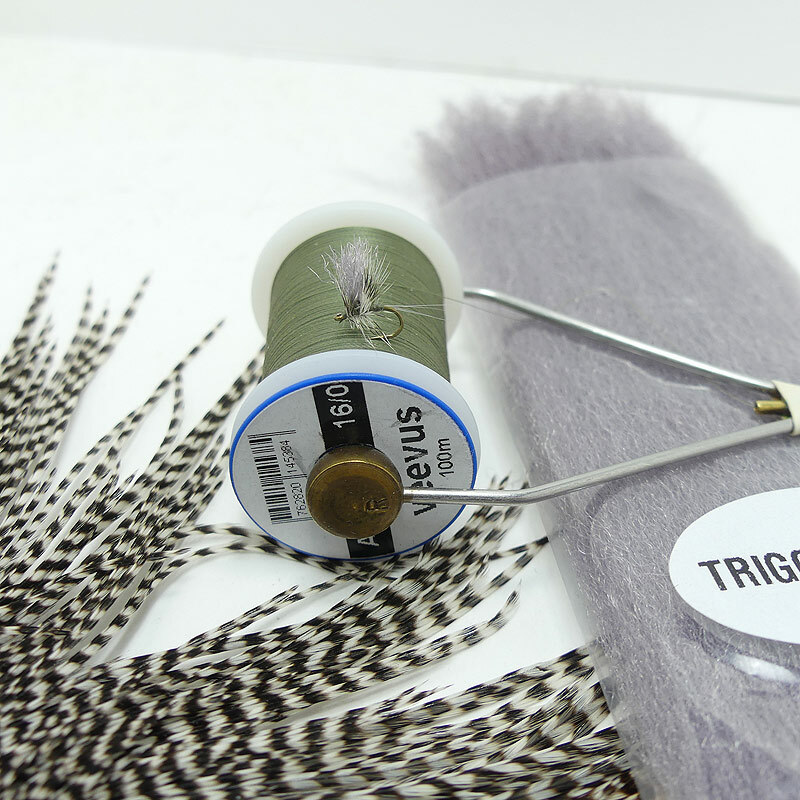 For most fly fishermen when someone mentions Tricos we think of the clouds of spinners in the air and clusters of Trico spinners all tangled together drifting along the surface of the stream. Times like these can create a feeding frenzy for the trout and it is common to see the trout gulping in mouth fulls of tiny black and white spent mayflies. During this time the trout are usually on the move as they casually swim back and forth and left and right just under the surface feeding on the tiny spent morsels. 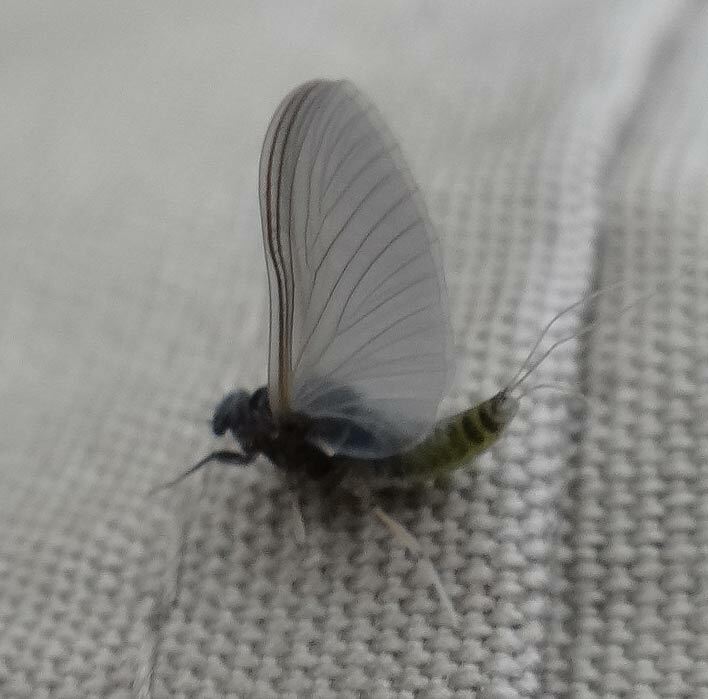 Prior to the spinner falls there is the emergence of the tiny Trico duns and trout can become very selective making this a challenging time for fly fishermen. The tiny Trico nymphs and emergers in the film are nearly impossible to see and often puzzle us as to what the heck the trout are feeding on. The emergence is generally an early to mid-morning hatch depending on the tempatures. The hatch generally occurs and hour or more before the spinner fall and usually won't last more than an hour, if that long. There is usually a lull after the emergence as the duns go to shore to transform into spinners and then form the clouds of tiny mating Trico spinners above the stream banks. 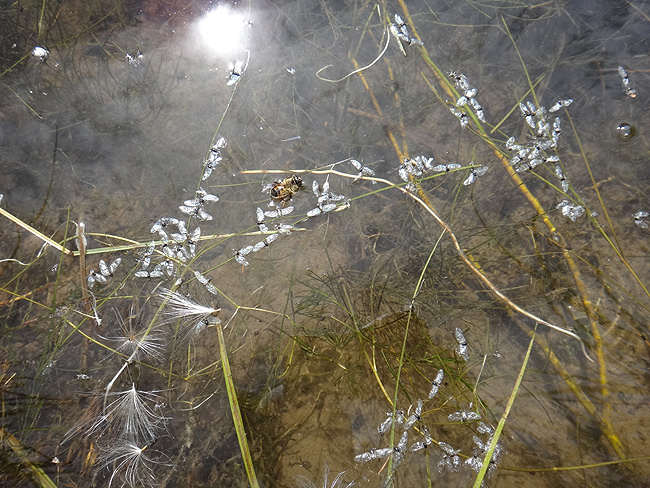 Depending on the stream you may have Tricos emerging anywhere from July through October. Out West I have fished the Trico hatches through September. Although I have not experienced that in northern Wisconsin. The Trico mayflies range from size #20 to #24 depending on the river. A size #20 through #24 pheasant tail nymph (PT nymph) works fine for imitating the nymphs. 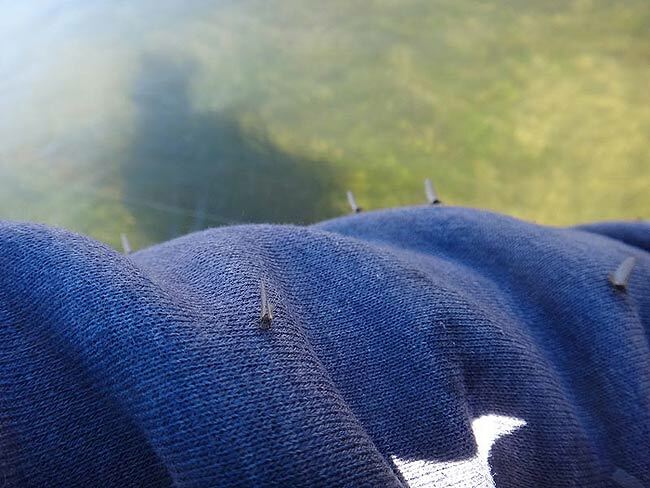 Carrying one or two tiny short-wing emerger patterns are a must to imitate the different transition stages to a dun. The dun imitation I prefer is a thorax pattern with a light gray poly wing and a grizzly hackle clipped underneath the hook shank. This type pattern floats well and is easier to see. For Trico spinners a tiny black thread body with a black dubbed thorax section and a white poly wings tied spent works great. I prefer to tie all my Trico patterns on a TMC 2488 hook which has a slightly bigger hook gap, still floats well in the real small hook sizes and won't straighten out from the force of a big trout.